In the Nevada desert, in the near future, a family crisis sets off a chain reaction that threatens to bring the networked world to its knees. It starts in the home of Naomi Chiang, a biologist and single mother struggling to balance her research with looking after her painfully awkward, homeschooled, ever-growing teenage son, Colt. Naomi worries about him constantly—he's so socially inept that he struggles to order takeout pizza—but then she has a major breakthrough at the lab that could change their lives, and America's future. For his part, Colt seems focused on one thing only: a globe-spanning immersive gameworld in which his phenomenal coding skills set him apart. But after his first real-life romantic encounter goes awry, he realizes mastery of a virtual existence is not enough. When Colt secretly releases his mother's latest findings, Naomi's worst fears come true. Colt's estranged father crashes into their lives again, backed by the secretive security organization he heads. The U.S. government wants Naomi's research . . . and Colt, who must leave the comfort of virtual reality to discover the pleasures, and pains, of a life fully lived. Meanwhile, Naomi has to decide how far she would go to protect her child. Would she kill a man? Would she destroy the world? 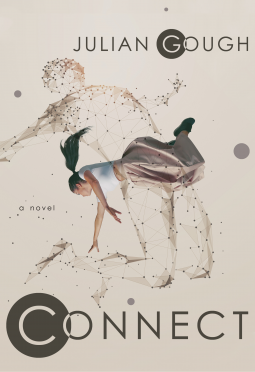 Connect is a thrillingly smart novel of ideas that explores what connection—both human and otherwise—might be in a digital age. It is a story of mothers and sons; but it is also about you, your phone, and the future.